Following a trip to the Science Museum this afternoon, I was thoroughly impressed by this research project by Anirudha Surabhi. Developed whilst studying at Royal College of Art, Surabhi was puzzled as to why expanded polysterene is commonly accepted as being the best material to protect your head whilst riding a bike. 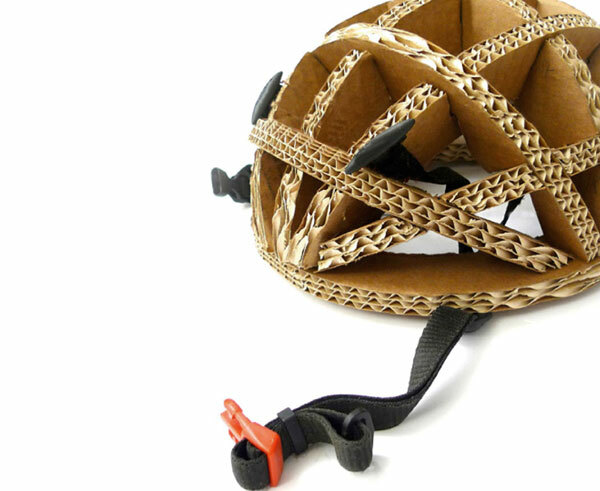 After testing more than 150 materials including rubber and cork, it transpired that cardboard is the lightest and strongest material to suit the structure of a helmet. To combat the porous quality of cardboard, the helmet is coated in a waterproof acrylic compound, which not only waterproofs the head gear but also retains the aesthetic quality of the design. 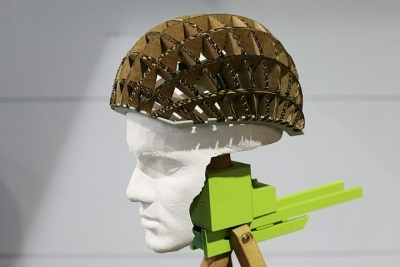 The cardboard design is also superior to its polystyrene counterpart as custom designs can be easily manufactured by scanning an individuals head and printing a bespoke net for manufacturing.